Fall is the time to begin planning ahead for the approaching cold weather. Once the first snow falls, it will be difficult to perform cold weather preparations. There are four things you should do now to prepare your home for winter. For homes with a fireplace, having the fireplace serviced is a smart way to prepare your home for winter. 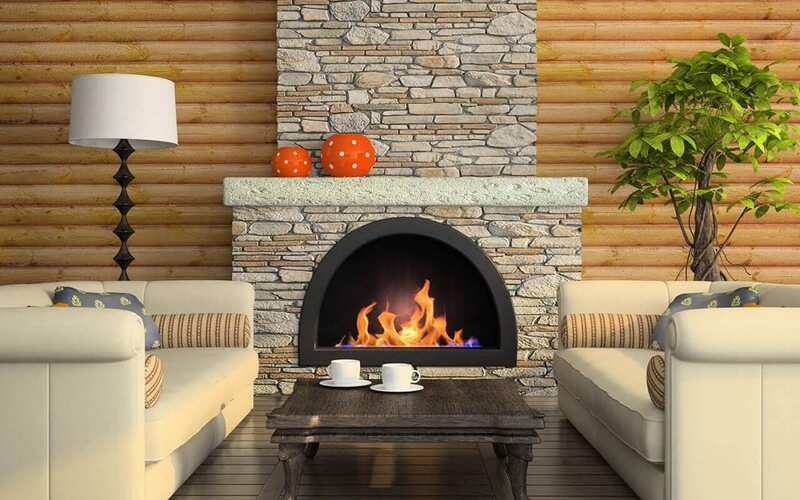 Fireplaces are great sources of heat that provide a nice ambiance and add a rustic aesthetic, but they require maintenance before they’re safe to be operational. The firebox must first be cleaned out of any remaining debris from the last fire. This includes ashes and log remnants. Have the chimney swept to clear blockages and to ensure that the smoke from new fires will be ventilated properly. This should be handled by a professional chimney sweep who is certified by the Chimney Sweep Institute of America. Also, inspect your firebox for damages such as cracked bricks or missing mortar. If any of these issues are found, make repairs before the fireplace is used. The frigid temperatures of winter can wreak havoc on your plumbing system. Any pipes that are outside of your home will be exposed to these harsh conditions and are at risk of freezing. Frozen pipes can crack, rupture, cause leaks, and interrupt your water service. To prevent your pipes from freezing, it is recommended that you insulate your pipes to prepare your home for winter. Foam pipe insulation is affordable and easy to install. The furnace is the primary source of heat for most homes. Make sure that your furnace is fully functional before you start using it. To prepare your home for winter, have an HVAC professional service your heating system. Along with inspecting your furnace for malfunctions, a professional HVAC service agent will also change your air filter, adjust settings for optimal heat output, clean your ducts, and check for worn or frayed parts that need replacing. Check the rubber seals around your doors and windows and replace as needed. Cold drafts are a common issue during the winter months, which can increase your energy bills and make your home uncomfortably cold. To prepare your home for winter, purchase weatherstripping from your local hardware store to seal your doors and windows. Use caulk for small cracks around the window sills. Sealing gaps will help eliminate cold drafts in your home. AAA Home Inspections serves Central and Northern New Jersey with home inspection services. Contact us to book an appointment.